We are excited that you have subscribed to Purpose Weekly – a lifestyle blog for women! 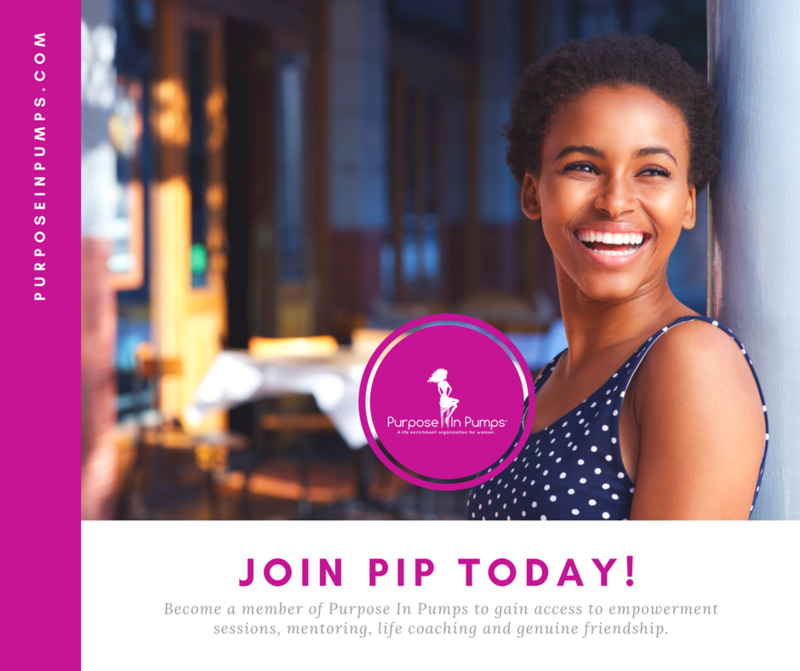 As the Founders of Purpose In Pumps, our primary objective for Purpose Weekly is to populate a collection of resources to inspire each of our members (and non-members) to push beyond obstacles and setbacks to accomplish your personal and professional goals. We encourage our readers to offer suggestions for articles, and also contribute if you feel you have the expertise in a particular subject. Besides receiving our weekly dose of inspiration, another great benefit of being a member of our organization are the high-quality events offered year-round. Our first event was the launch of “I AM PURPOSE” that featured empowerment coach Teshia Monet as the guest speaker, structured networking and our signature “prettiest pump” contest. Future events will include a relationships panel, holiday soiree and leadership summit. If you aren’t already a member, go ahead and register to gain full access to everything our organization has to offer. We look forward to growing with you! To contribute to Purpose Weekly, or for general questions or comments, please complete the form below.